Years ago I worked actively as a homeschool coach. I advertised here on my blog and connected regularly with homeschool families helping them on their homeschool journey. I put that work aside for a time to pursue other projects though I still help families informally within my own community, and am a contact point for people homeschooling in Quebec and homeschooling in general. I'm happy to share my knowledge as a career homeschool mom, having graduated one child and still actively homeschooling two high schoolers. For years I've wanted to consolidate the questions I've been asked repeatedly, about interest-led and self-directed learning and relationship-based parenting, into one resource that I could offer at an affordable and accessible price for homeschool families. People come from different situations and each family, like each individual, is unique. But a decade's worth of experience speaking, coaching, and informally chatting with a lot of homeschool parents online and in real life has revealed a consistent pattern of hopes, dreams, questions, fears and concerns. I've been living the hopes and dreams, facing the fears, answering the questions in my own homeschool and parenting "practice" for twenty years. I offer you those ideas and support for your own parenting and homeschool journey in my first ever online course. What is a Freedom Education? Without getting super-philosophical and socio-political I define freedom education as an education (and upbringing) that maximizes freedom for the individual within the secure context of family. Maximizes freedom for the family within the supportive context of community. Maximizes freedom for the community within the structural context of society. We're not talking about community and society in this course. That's well beyond my scope and expertise. We're going to talk about the courage to change the world within our homes; by how we love, how we live, and how we learn. This course is going to be feet-on-the-ground practical. Promise. But the principles we're reaching for are lofty and I make no apologies for that. I want to live in a more healthy, loving, equitable, creative, and compassionate world. So I've started by making that world in my home. And I want to help you do the same. Homeschooling is more than providing an education at home. It's how you learn, live, and love as a family. The how is as important as what. What is the course about exactly? Content will be delivered weekly in the form of a short video that teaches or discusses a specific concept, illustrated with hands-on experience; presenting thought-provoking ideas and prompts for your own reflection and application. Participants can ask questions and contribute ideas in comments format. I will be active in responding and connecting with participants, answering questions around the course content. This course will support you in your homeschool journey by helping you think critically and creatively about the foundation and application of lifelong learning and loving relationships in our homes. We'll explore how to cultivate, nurture, and understand motivation and interest, and how to parent and homeschool from a place of learner motivation and desire. We'll talk about finding curriculum and methods that work for your family. We’ll discuss practical solutions for the day-to-day tasks of both home and school. We’ll talk about set-backs and solutions, how to be flexible and adaptable. We're going to talk about growth: your's and your child's. Ultimately, what we’re doing in homeschooling is growing humans (all the humans in the house) and there is no formula to follow. Like all of parenting there is a lot to learn, and re-learn, along the homeschool path. 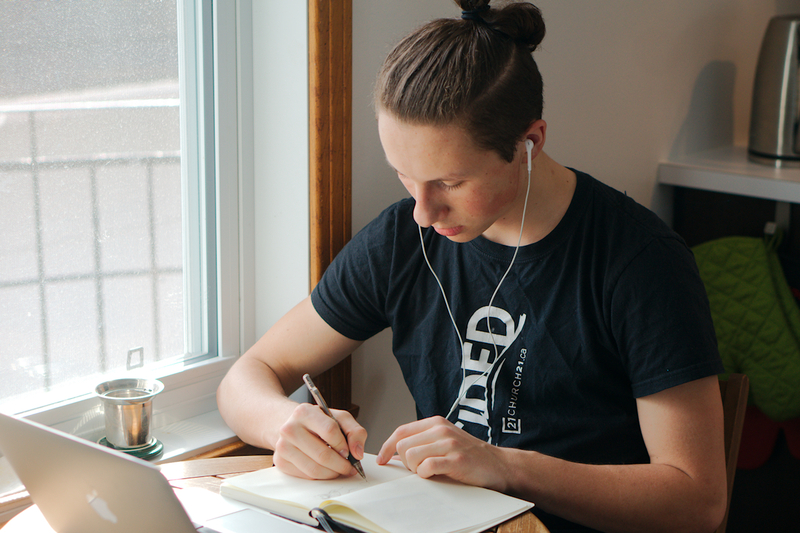 This course empowers you on that journey by engaging your head, encouraging your heart, and equipping your hands to the life-changing work of home education. The course is self-paced; watch videos, listen to podcasts, engage in comments and written material on your own schedule. 11 weeks, starting Tuesday, February 5th. I am using Patreon to delivery this course. Scroll down the page. On the right side of the screen (if on desktop) find "Join $20 tier" button. Click that. Create a login or login with your existing Patreon account. If you are new to Patreon complete your payment with a credit card or Paypal. You can sign up immediately for the course (you won't be charged till February 1st) and you'll have access to all my other Patron-only content including my monthly podcast. Episodes go back to October. The course starts Tuesday February 5th. Click over to Patreon and select the "Join $20 Tier" to register (again, you won't be charged till February 1st). My next post will thoroughly explain how we're going to use Patreon for this course. If you have any questions about the content or using Patreon send me an email (renee at tougas dot net) or leave a comment. 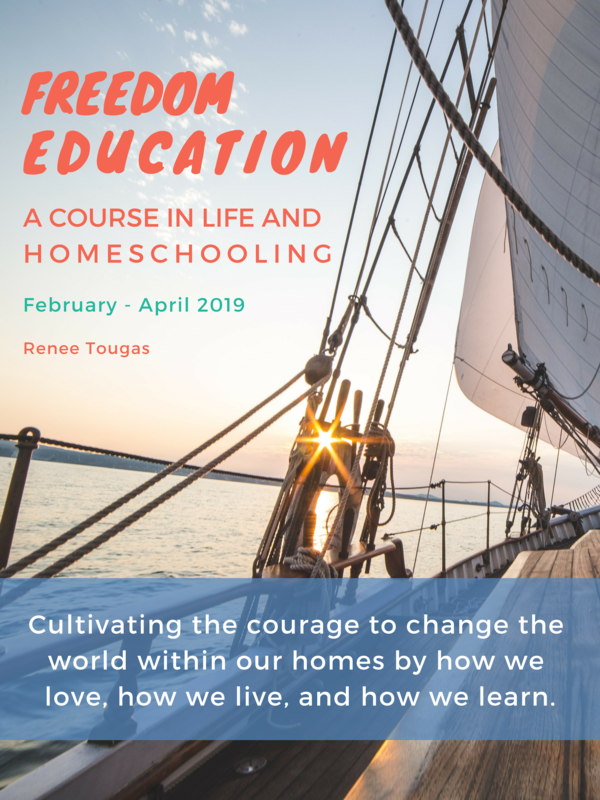 I've been working on this content for years and I'm so excited to finally get it into the world and support more families to parent and homeschool with courage and freedom. Krista O'Reilly-Davi-Digui on Jan. 18, 2019, 8:49 p.m.
As I shared on FB, I'd have LOVED this course! Your was one of the first blogs I ever followed and it/you were such an inspiration and practical encouragement to me as I home schooled my own kiddos (which, as you know, I did for 15 years!). Renee on Jan. 22, 2019, 5:01 p.m.
Tonya on Jan. 19, 2019, 1:14 p.m.
Renee on Jan. 22, 2019, 5:02 p.m. So happy to do this course with you Tonya. 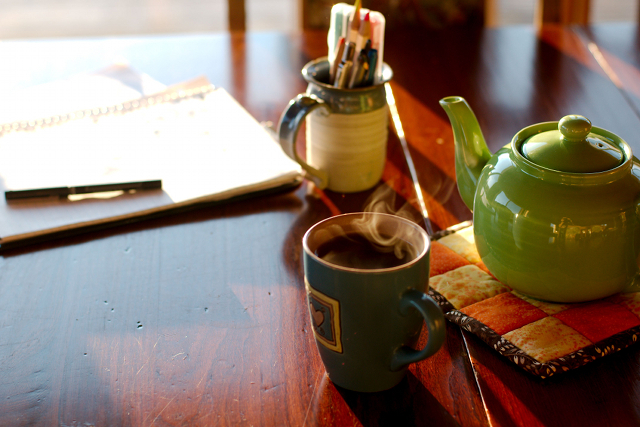 You're an amazing homeschool mama. I have a lot to learn from you!